The Lasers kept their chances of finishing in the top two alive while the Empire remain winless on the season. The New York Empire fell to 0-8 on the season, losing to the Springfield Lasers 5-2, 5-4 (0), 5-4 (4), 5-2, 5-5, 1-0 on a rainy night in Flushing Meadows. Played indoors on Court 8 at the Chase Center, Springfield won the first four sets before losing the fifth set, necessitating extended play, which they won relatively easily. 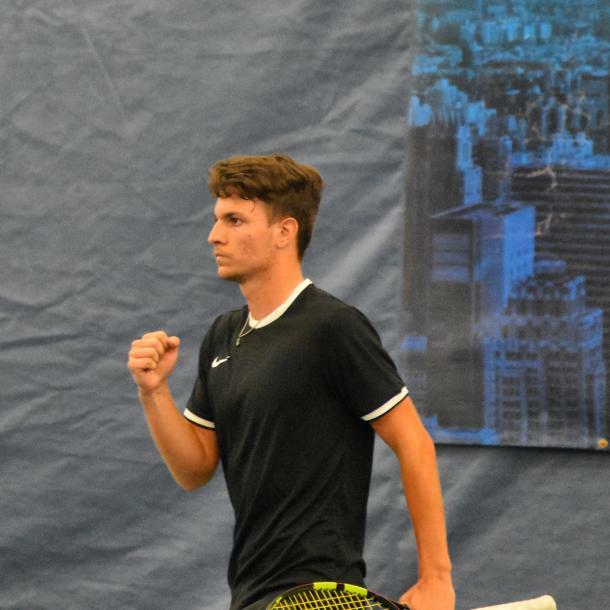 First up was men's singles with Miomir Kecmanovic of Springfield facing New York's Mardy Fish. The 18-year old from Serbia came back from an early deficit in the first game to break the American's serve. After being broken himself, Kecmanovic again took the lead after Fish's backhand bounced off of the net, just going out for a 2-1 lead. He closed out the set with little trouble, a forehand error by the American giving Springfield a 5-2 lead. 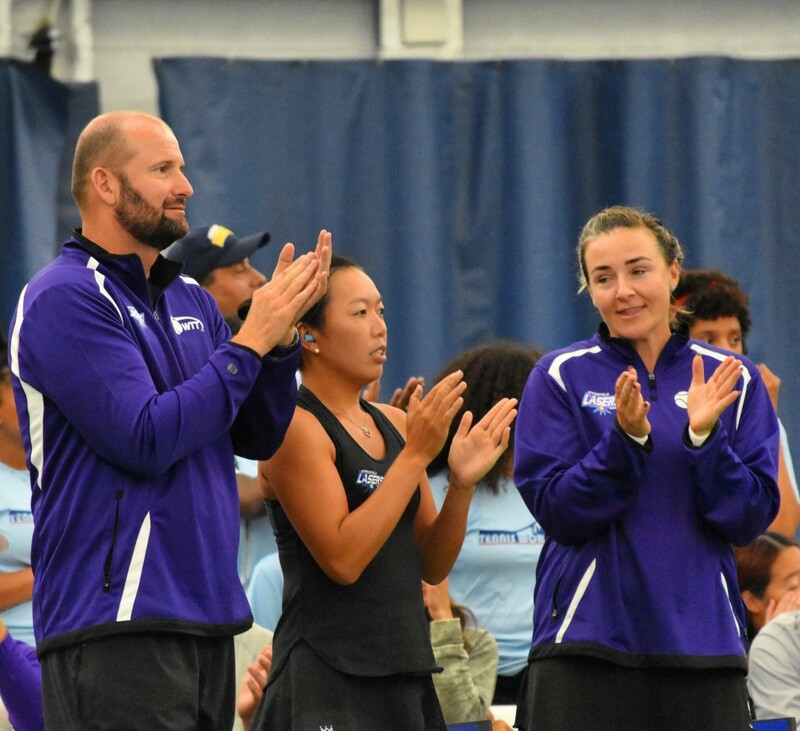 Next up was women's doubles featuring the Lasers' duo of Abigail Spears and Vania King against the Empire's Tatjana Maria and Maria Jose Martinez Sanchez. It was a great start for the duo from New York as they jumped out to a quick 4-1 lead, breaking both Spears and King in their opening service games. The Springfield pair slowly crept back in the set, steady baseline work from King getting one of the breaks back. 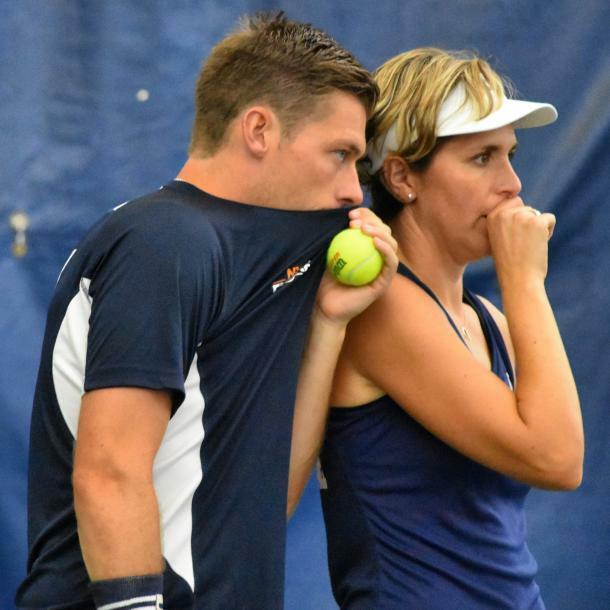 After a hold, the Lasers team broke once again, forcing a tiebreaker, which Spears and King won 5-0 to give the two-time WTT champions an overall 10-6 lead. Fish returned in men's doubles, partnering with Neal Skupski to take on Kecmanovic and Daniel Nestor. As has been the case so often this season for the Empire, the set was close, neither team breaking serve, but in the second tiebreaker of the night, New York came up just short, wasting two set points while Nestor used his big serve to force an error from Fish to give the Lasers a 15-10 lead. Maria and King faced off in women's singles. This resembled more of what the first set was like, with the 29-year old American breaking in the third game when Maria's backhand flew well long. Another break in the fifth game with a forehand winner gave King a 4-1 lead and she closed out the set shortly thereafter after the German double-faulted on set point. Leading 20-12, Spears and Nestor looked to close things out in mixed doubles against Skupski and Martinez Sanchez. The Lasers got an immediate break when Nestor fired a crosscourt forehand winner. Spears served for the match, but her netted volley on break point gave the Empire a lifeline, which they used to force a tiebreaker. Skupski used his forehand to win the key points in the tiebreaker, including on set point to force extended play. Nestor and Spears needed to win just one game while Martinez Sanchez and Skupski had to claim seven in a row to force a super tiebreaker. The Canadian served out the game and the match when Skupski netted a final forehand to send the Lasers to 3-5.